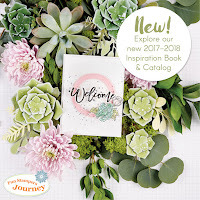 During my open house I handed out sample tubes of Journey Glaze. 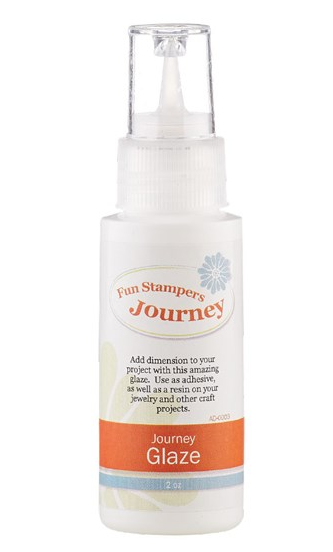 Of course I had to package them up super cute in Fun Stampers Journey colors! If you haven't tried using Journey Glaze, I suggest you give it a try. It is a fusion between a glaze and a resin, combining the benefits of both. 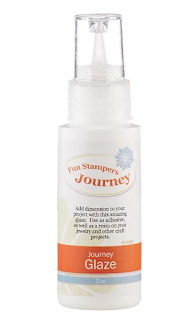 I use it to add dimension to my projects or as an adhesive to adhere glitter or other embellishments. it dries hard but stays pliable so if it gets bent or curled it will not crack. Cool stuff! Inking Idaho will be at Pinners Conference!! Come by my booth and say hello! Such an interesting-sounding product, Becky, very cool! What a nice gift for your customers and of course, very cute packaging! Thanks for sharing! Greetings from Australia, your products look good, do you sell internationally. I love all the little bags you make. If you would like to pay the extra shipping, I'm happy to send it your way.